"Partner Portal Excellence to Help Your Channel Partners"
A partner portal provides your channel partners with easy access to critical elements that will help them close deals faster. It plays a key role in helping you maintain your partner relationships better. Each channel partner is unique; so are their requirements. So, how can you bring them all on the same page as you? What do your channel partners really want in a partner portal? 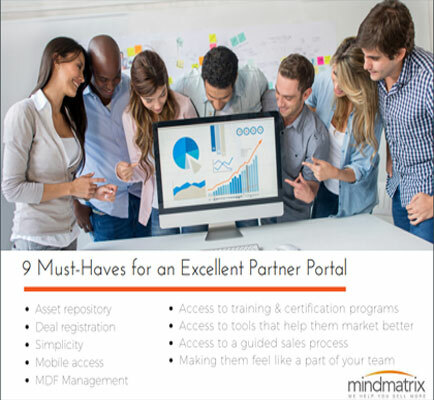 What are the things to consider when investing in a partner portal? How can you make the most of your investment in a partner portal? What are the key requirements of a perfect partner portal to improve partner adoption and usage?